Canton, Michigan is a charter township located just minutes from the outskirts of Detroit, Michigan. The town was first settled in 1825 as a result of the opening of the Eerie Canal. A small group of people began farming in the area, and a small village began to develop at Sheldon Corners (Sheldon Road and Michigan Avenue). While the Township’s roots are in farming and agriculture, the town has transformed and grown over time. 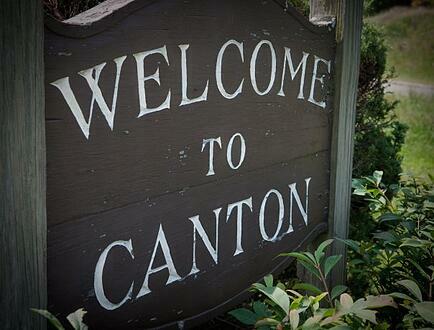 Canton now has a population over 90,000 and is one the fastest growing townships in Michigan. With the development of I-275 in the 1970s, people working in Detroit were quickly locating to Canton because of its close proximity to Detroit and drawn to the town’s small, friendly community. Another factor contributing to the quick growth in Canton, Michigan is the recent economic growth. Canton, Michigan is home to large companies such as Yazaki North America (a global automotive parts supplier), Sysco, the states only IKEA (one of the world’s largest furniture stores), and Advanced Engineering Company. While these large companies bring a great number of jobs and revenue to the area, the many local small businesses help add stability to the local economy as well. Canton, Michigan has been considered “a hidden gem of economic development” by Insider Business due to its healthy relationship between the local government and small business owners. As a result, many small business owners and entrepreneurs are establishing or relocating their businesses in Canton, Michigan. Increasing job growth is not the only reason Canton is consistently rated one of Michigan’s fastest growing communities. Canton is filled with great family attractions, restaurants, schools, and shopping and offers an overall family-friendly lifestyle. In 2015, Canton, Michigan was ranked 29th on a list of safest cities in America and consistently ranks among the top 5 safest cities in the state of Michigan. Couple this with great, award-winning schools and lots of community activities, it is clear to see why Canton is such a desirable location for families to put down roots. Some of the areas most popular local attractions include the Village Theater, the Summit on the Park, and a wide range of seasonal events such as Fourth of July celebrations and local farmers markets. The growing local job market and economy, a vibrant restaurant and shopping scene, the close proximity to local expressways making Detroit, Ann Arbor, and Detroit Metro Airport just minutes away, and the vast selection of community attractions and events make Canton a desirable place to locate in Michigan. It is easy to see why families are looking to relocate to this beautiful community filled with big town opportunity and small town charm.